Switzerland has very little fossil fuels and currently relies heavily on the import of oil, gas, coal as well as on its own hydraulic and nuclear power capacity to meet its overall energy requirements. While domestic hydropower is set to remain the main source of electric energy in the country, interest in other ‘clean’ energies has developed and increased. This trend occurs much to the expense of nuclear energy, to this day the second most important source of electric energy in the country. Accordingly, Switzerland now places a greater focus upon the research and development of renewable power sources such as wind, solar, waste incineration and biogas. Additionally, a step-by-step strategy to reduce and ultimately end the country’s nuclear power capacity is in place, so that when the current plants reach the end of their service life, they shall not be replaced with new ones. With regard to the ownership and development of energy resources, both the federal government as well as the governments of each canton play a role. The federal government is solely responsible for legislation in the field of nuclear energy and in the field of energy transport, in particular the transmission and distribution systems for the transport of liquid or gaseous fuels. The federal government is further competent to establish regulatory principles (eg, environmental protection) on the exploitation of energy resources and on the economic and efficient use of energy. Each canton has ownership over the natural resources that are located upon or within its territory. Accordingly, energy companies must obtain concessions or licences from the canton to exploit natural resources on its soil. The cantons may also expropriate land against appropriate compensation to either promote or prevent the exploitation of natural resources. Governments at both levels (ie, federal and cantonal) regularly own substantial participation in companies that produce or distribute energy. Finally, the cantons and the federal government actively participate in the EnergieSchweiz programme to effectively implement their energy and climate objectives. Currently, the national energy policy focuses greatly on fossil fuels, which are the country’s primary source of energy. Electricity is second in line, mainly driven by hydraulic and nuclear plants. The federal government has, however, set itself a 20 per cent reduction target of fossil fuel consumption and a 50 per cent increase target of the share of renewable energies by 2020. The general aim of Swiss energy policy is to guarantee a secure, economic and ecological energy supply. Most energy providers will use standard terms and conditions when entering into contracts with consumers or SMEs. The content and form thereof will vary depending on the energy sector but common features are often the indefinite term of the agreement and the influence of the source of the consumed energy (fully or partly renewable) on the contractual prices. With regard to B2B contractual relationships, standard form contracts are regularly published by each industry’s governing body. As a matter of example, the association of Swiss electricity companies (VSE/AES) has issued a set of 13 standard form contracts covering most of the field of electricity production and distribution. Similarly, the Association for Wood Energy (AWE) published several templates in connection with wood energy (heat supply, access to heating networks). The rules of the Swiss Code of Obligations (CO) and the corresponding case law govern the contractual interpretation under Swiss law. Under Swiss law, contractual interpretation is based on the real and common intention of the parties at the time when they entered the contract. To determine what the real and common intention of the parties is, a judge may consider all the circumstances of the case at hand, including pre- and post-signing behaviour of the parties. In particular, the intention of the parties and thus the true nature of the contract may differ from the contractual wording. In cases where the real and common intention of the parties cannot be established, the judge must interpret the parties’ declarations according to the principle of good faith (ie, how a reasonable person in the situation of one of the parties would have understood the declaration of the other party). These general rules also apply to energy contracts governed by Swiss law. Guidelines and recommendations issued by each industry’s governing body may be considered by the courts in order to establish if a breach of a duty of care has occurred. This may even be the case if the guideline or standard in question has not been explicitly included in the contract. These guidelines or standards are specifically issued in connection with a given aspect of a particular energy segment. For instance, the Association of Swiss Wastewater and Water Protection Experts issued a series of technical guidelines with regard to wastewater discharge into water bodies in rainy weather. Another example is the directive on the safety of dams issued by the competent surveillance section of the Swiss Federal Office of Energy. With regard to liability, the relevant benchmark is set by the parties to the contract and, alternatively, by the general legal rules on contractual liability. As a general rule and unless the parties agree otherwise, a party will be held liable for a breach of contract caused negligently. Negligence is defined under Swiss law as the failure to act in accordance to the level of care commonly required under the given circumstances. In turn, gross negligence means that the breaching party acted in disregard of the most basic duty of care or out of indifference. Under Swiss law, any attempt to exclude liability for gross negligence by means of contract will be deemed void and thus ineffective. It must also be noted that most statutes relating to the energy sector contain specific provision regarding tort liabilities and damages in connection with such industries. These are usually stricter than the aforementioned standards. For example in the case of nuclear exploitation, the operator will be liable without limitation for any damages from a nuclear origin caused by nuclear substances on the installation unless he or she can prove that the damage was caused intentionally or through gross negligence by the victim. With regard to electricity installations, the operating party will be liable for any damage to a person or a thing unless he or she proves that the damage in question is due to force majeure, wilful misconduct or gross negligence of a third party or the victim. Swiss law and Swiss courts generally do recognise force majeure. In accordance with article 119, paragraph 1 of the CO, an obligation is deemed extinguished when its performance is made impossible by circumstances not attributable to the obligor. However, article 119, paragraph 1 of the CO generally only applies to events that are completely beyond the control of the concerned party (eg, in the case of an earthquake, a flood, etc) and only if the performance has become strictly impossible. During periods of commodity price or supply volatility it may be that the performance of the obligation becomes more expensive and more time-consuming but, unless the commodity in question does not exist anymore, the debtor always has the possibility to perform. As a result, article 119, paragraph 1 of the CO is not applicable to periods of commodity prices or supply volatility. Therefore, if the parties wish to extend the effects of force majeure to circumstances such as market volatility, they may define and draft a clear clause about such considered cause majeure events and the consequences thereof. 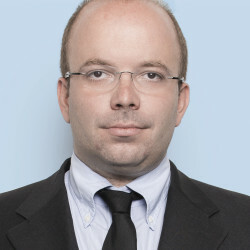 If the parties did not include any mechanism to adapt the contractual provisions to unexpected and substantial market volatility, the general principle of clausula rebus sic stantibus may apply. Accordingly, if exceptional circumstances that the parties did not contemplate when entering the contract occur, a party may request the courts to adapt the obligation in question to reflect what the parties would have agreed upon in good faith had they known about these exceptional circumstances at the time that they entered into the contract. With regard to the construction and development of the project, anyone who is directly affected by an administrative decision (such as an authorisation to build a new energy complex) and has an interest in the decision being cancelled or modified may appeal the initial decision. Unless the court specifically orders so, the appeal has a suspensive effect and the construction cannot take place. From a private law aspect, landowners are obliged to refrain from any nuisance detrimental to neighbouring properties. In particular, all harmful effects that are not justified by the location and character of the land or by local custom such as air pollution emissions of noxious vapours, noise, vibrations, radiation or the deprivation of sunlight or daylight are prohibited. If this is not respected, then the affected person is entitled to sue the landowner or the plant operator for indemnification or for protection against imminent damage. Parties may limit remedies by agreement. In particular, the law governing the contract for work and services (article 363 et seqq CO) and the agency (article 394 et seqq CO) - two recurring forms of contracts in the energy sector - are very flexible, enabling the parties to a contract to limit (or modify) remedies. However, an agreement to waive liability for gross negligence or unlawful intent is null and void if concluded in advance. The courts would generally treat the contractual provision in question as excluding liability for negligence and thus reduce the scope of the liability exclusion clause to the extent permitted by law. Contractual penalties may be included in energy contracts. If that is the case, the party activating the penalty will only be able to request the execution of the contract or the payment of the penalty, unless the parties have contracted differently. As to liquidated damages, there are no specific regulations under Swiss law. However, they are perfectly admissible and subject to the same judicial review as contractual penalties as per article 163(3) of the CO. As such, grossly inadequate liquidated damages may be reduced at the discretion of the judge. There are no specific provisions governing strict liability for the energy sector as a whole. Instead, the relevant act depending on the pursued activity must be considered. Strict liability of plant operator or electricity providers is to be found in the legislation pertaining to the nuclear and the electricity industries. Because there is no specific statutory provision governing competing clauses in multiple agreements relating to a single transaction, the general principles of contract law apply. As a result, the starting point is always the common intention of the parties. Assuming there is an overlap between two competing jurisdiction, arbitral or choice of law clauses, the courts will seek to establish, or alternatively, construe the common intention of the parties. In this regard, it has to be noted that as a matter of principle each contract is to be looked at individually. An exception will only be made if the contracts in question appear to all parties as being a bundle of agreements, which together form an entity (non-published decision of the Swiss Federal Supreme Court dated 18 December 1991, partly reported in: SJ 1992, p 562). Turning to how the courts resolve such competing clauses, the decision of the Swiss Federal Supreme Court dated 17 January 2013 (4A_244/2012) is to be carefully considered. In this case, a jurisdictional and an arbitral clause were competing in two distinct contracts. The court sought to establish the common intention of the parties and held in this regard that choosing arbitration results in a strong limitation of both parties’ appeal possibilities, thus justifying a strict interpretation of the arbitral clause. As a result, unless the clear common intention of the parties to resort to arbitration can be established or construed, the arbitration clause will not be given effect when competing with a choice of forum clause. Stepped dispute clauses are rather common in practice and are enforceable under Swiss law. They are subject to the same validity requirements as regular arbitral clauses (ie, inter alia: written form, consent and arbitrability). If an arbitral tribunal declares itself competent in violation of a stepped clause (eg, no satisfactory mediation procedure took place in the run-up to arbitration), the Swiss Federal Supreme Court will examine this violation under article 190, paragraph 2(b) of the Private International Law Act (PILA) and may take the appropriate measures. In this regard, courts will tend to suspend the arbitral procedure and order that a proper mediation be conducted within reasonable time. This will be the case if a party to a stepped clause files a notice of arbitration in disregard of the mandatory mediation clause (BGE 142 III 296, where a party wrongfully deemed the mediation process a failure and filed a notice of arbitration before the parties had the chance to meet in person, which the Swiss Federal Supreme Court held for mandatory in connection with the agreed-upon ICC ADR rules). Split dispute clauses are not as common as stepped clauses but are nonetheless enforceable. If considering entering one, do bear in mind that particular attention is to be paid to the specific wording thereof because the lis pendens rules in civil litigation in Switzerland also apply with regard to arbitral procedures. Consequently, a poorly drafted split clause could lead a state court to hold that the issue brought before it is already part of the ongoing arbitration, so that it will dismiss the claim on the ground of lis pendens. Expert evidence is broadly used in courts, especially with regard to technical matters. There are three means of evidence under the Swiss Civil Procedure Code (CPC) that could qualify as ‘expert evidence’: expert witness (article 175 CPC), expert opinion (article 183 CPC) and arbitrator’s opinion (article 189 CPC: which is not to be confused with the role of an arbitrator sitting on a panel in proceedings based on an arbitration clause). The expert witness is subjected to the same rules as regular fact witnesses and in particular article 307 of the Swiss Criminal Code governing perjury. An arbitrator’s opinion (as per article 189 CPC) definitely binds the court as to the reported facts, whereas a judge may depart from the facts detailed in an expert opinion (as per article 183 CPC). Individuals providing expert or arbitrator opinion are subjected to the same recusal provisions as judges (ie, strict independence requirements) and may be recused, if the conditions are met, upon one or both parties’ request. A private expert report may be submitted to the court but is considered a means of allegation and not a means of evidence (BGE 141 III 433, E. 2.6). There is no particular rule on engagement with regard to private expert, it being understood that a court will not give it a lot of credit if the expert in question is considered too close to one of the parties. Generally speaking, a court may take any interim measure suitable to prevent an imminent harm pursuant to article 262 of the CPC. There is no exhaustive list of measures and the courts have a broad interpretation leeway in this regard. In particular, they may issue an injunction to a party to the procedure, issue orders to third parties and authorities as well as order a payment or a performance in kind. Numerous acts do provide for specific interim measures. In the electricity sector in particular, the competent authority - Federal Electricity Commission (ElCom) - may grant the interim access to the grid according to article 22 of the Electricity Supply Act. There are no specific rules as to the enforcement of foreign judgments and foreign arbitral awards in energy disputes. With regard to foreign arbitral awards, the New York Convention, of which Switzerland is a signatory party, will systematically apply pursuant to article 194 of the PILA. With regard to foreign judgments, a distinction is to be made between judgments from a court of a member of the European Union, Iceland or Norway and a judgment from a court of a third country. The Lugano Convention of 30 September 2007 (CL) contains the same regime as to the recognition and enforcement of foreign judgments as the Brussels Regulation No. 44/2001. In particular, a foreign judgment falling under the scope of the Lugano Convention will generally be recognised without particular procedure pursuant to article 33, paragraph 1 of the CL. Turning to judgments from third countries, the applicable rules are contained in articles 25 to 32 of the PILA. This recognition regime is not as streamlined as in the Lugano Convention and requires in particular a specific recognition procedure pursuant to article 29, paragraph 1 of the PILA. Please note that Switzerland is not a signatory party to the Hague Convention of 1 February 1971 on the Recognition and Enforcement of Foreign Judgments in Civil and Commercial Matters. No there is not. 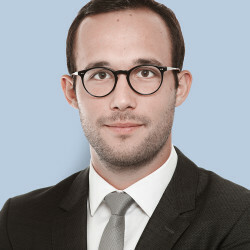 It is generally considered that the existing institutions, in particular the Swiss Chambers’ Arbitration Institution, provide satisfactory solutions for the energy sector. However, in order to further strengthen Switzerland’s position as a global litigation stronghold, discussions aiming at establishing an international commercial court are currently ongoing in the Zurich parliament (Zurich International Commercial Court). Disputes between state institutions and private parties regarding regulatory matters are subjected to the administrative procedure and will eventually be heard before state courts. Disputes arising in connection with grid access, grid usage, grid usage fees and the cost of electricity must first be brought in front of the ElCom. As a matter of principle, disputes between companies and consumers are heard by civil courts. As to the commercial disputes in the energy sector, in particular with regard to the construction and operation of facilities and plants or supply agreements, the individual contracts will often refer to arbitration. In the run-up to civil procedures, parties to settlement discussions will very often enter a non-disclosure agreement, thus rendering the content of such discussions confidential. However, this agreement is only binding upon its parties and will not stand a domestic court order requesting that particular documents (including emails or minutes) be disclosed under article 160, paragraph 1(b) of the CPC. The only exception to this disclosure obligation is the attorney-client privilege. As a result, statements made in settlement discussions (including mediation) that are not covered by the attorney-client privilege are confidential but subject to a court disclosing order. In procedures with state authorities (ie, applications for construction permit or grid access), statements made towards the competent authorities are subjected to the applicable law on public information and data protection. With regard to federal authorities for instance, the Freedom of Information Act of 17 December 2004 applies, whereas the documented discussions with federal authorities are, in principle, publically accessible but are rendered anonymous wherever possible prior to inspection. There are no specific rules governing e-discovery in Switzerland. In any event, all and any data transfer is subjected to data protection legislation, trade secret rules and state secrets provisions. In particular with regard to e-discovery, the main issues are in connection to the location of the disclosed data. The Swiss data protection act provides that personal data may not be disclosed abroad if the privacy of the data subject would be seriously endangered as a result of it. This will particularly be the case if the country of destination of the transferred data does not offer sufficient legal data protection. In such a case, the transfer may generally only occur if the data subject approves of such transfer, if contractual safeguards are put in place or if there is a sufficient public interest. Attorney-client privilege is governed by article 13 of the Federal Act on the Freedom of Movement for Lawyers. According to this provision, a Swiss attorney shall keep confidential all and any information regarding all matters brought to him or her as an attorney by his or her client. The attorney-client privilege is unlimited in time. An attorney may be released from this confidentiality obligation by the competent cantonal supervisory body. In such a case, however, the attorney may, but must not, disclose the information in question. In civil procedure, with the exception of proceedings against the attorney itself, the attorney-client privilege may not be lifted, not even by the court. The same is true for administrative proceedings. Please note that in-house counsels are not considered as being attorneys for lack of mandatory independence. Hence, they do not benefit from the attorney-client privilege. Swiss law does not contain any rule as to work product privilege. Information and documents gathered in anticipation of litigation are not subject to any other rule than the aforementioned attorney-client privilege. As a matter of principle, all disputes regarding regulatory issues in the energy sector between private and a particular state institution must first be heard before the corresponding competent authorities. Their decisions may then be challenged in front of the courts. Some exceptions are made. For instance, in disputes regarding grid access, grid usage, grid usage fees and the cost of electricity, the parties must first refer to the ElCom. The ElCom is an independent administrative body. The decision of the ElCom may be challenged in front of the Administrative Federal Court. The remaining disputes, in particular between private parties, are subjected to civil litigation procedures in front of ordinary courts or, as the case may be, arbitration. At the federal level, the Department of the Environment, Transport, Energy and Communication is the lead department in charge of the country’s energy policy-making. Within this department, the Swiss Federal Office of Energy (SFOE) is responsible for the day-to-day monitoring and implementation of the energy policy. The SFOE is responsible for the creation of a sufficient, crisis-proof, broad based, economic and sustainable energy supply. The SFOE ensures the maintenance of high safety standards in the production, transport and utilisation of energy. It creates the necessary conditions for efficient electricity and gas markets and an adapted infrastructure. It actively promotes efficient energy use, an increase in the share of renewable energy and a reduction in CO2 emissions. It promotes and coordinates national energy research and supports the development of new markets for sustainable energy use and supply. In Switzerland, new entrants have a right to access the infrastructure. For example, the federal law on means of transports by pipelines of combustibles, liquid or gaseous fuel stipulates in its article 13 that the exploiting company has to transport on behalf of third parties and within the technical limits and a healthy use of the installation as long as the third party offers an acceptable remuneration. In contentious cases between the parties the Federal Office of Energy decides if the exploiting entity has to conclude and enter a contract with the third party and decides on the contractual terms. Similarly, article 13 of the Electricity Supply Act provides that all grid operators must grant access to third parties on a discrimination-free basis. The ElCom is competent in case of a dispute between the grid operator and the third party wishing to access the grid. When a federal administrative agency or a public body renders a decision, said decision usually may be internally challenged in front of the internal appealing body. This procedure may be considered non-judicial but the parties to the procedure enjoy comparable procedural rights (ie, right to be heard, right to an attorney, etc) as in front of a judicial instance. All decisions may be challenged in front of the Administrative Federal Court, usually within 30 days of the decision being handed down. The appeal must contain prayers for relief, motivation and exhibits relating to the case. In certain cases, where a decision is handed down by a cantonal authority, the appeal must be made at cantonal level and may only be challenged in exceptional circumstances at the federal level. Cantonal agencies and public bodies cannot form an appeal at the federal level, cantonal bodies and public agencies must respect the decision of cantonal courts. Only a private party may, in exceptional circumstances, appeal at the federal level. At the current juncture, there is no federal law specifically designed for fracking. The authority to rule on the legality of fracking lies mainly within the cantons as fracking is the exploitation of mineral resources. The federal government may enact provisions as to regulate this practice (ie, environmental protection). The general position on fracking is quite restrictive. Three cantons have already adopted motions that suspended any drilling permits that were previously granted and fracking is explicitly forbidden in three other cantons, namely Geneva, Bern and Zug. That being said, the federal council unveiled a report on fracking in March 2017 by which it found that the application of the technology should in general be possible under certain conditions, and thus saw no reason for a moratorium on fracking. There are no indigenous groups in Switzerland. If a foreign company is looking to enter the market through a submission to a public tender, then it will have to abide by the Swiss law on public tenders, which specifies in its article 4 that offers from foreign companies may be considered, provided that said companies are incorporated in a state that has signed the 5 April 1994 agreement on public tender or in other states, provided that Switzerland has concluded an agreement with them or that Switzerland has recognised that these states guarantee equal treatment for Swiss companies taking part in public tenders. Each sector of energy has an administrative body (ElCom in the case of electricity, SFOE and the Federal Inspectorate of Pipeline in the case of liquified natural gas, CARBURA in the case of petroleum) that will issue a permit or a licence based on the type of commodity being imported. 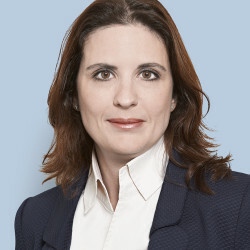 The National Supply Act, the Pipeline Act, the Pipeline Ordinance, the Ordinance Concerning Safety Standards for Pipelines, Electricity Supply Act and the Energy Act all contain relevant provision regarding the quality and security standards that have to be applied by foreign companies looking to access the Swiss Market. Each law specific to each energy sector typically contains provisions regarding health and safety and the consequences of their breaches. Usually, said consequences are under the form of a criminal liability, that is to say an imprisonment sentence and a fine. For instance, omitting to take safety measures to protect the environment can result in a prison sentence of up to three years. There is no ongoing or anticipated sovereign boundary dispute involving Switzerland. However, other elements affect the energy sector. Generally speaking, Switzerland is experiencing a shift away from the use of nuclear energy. This trend was confirmed on 21 May 2017, as the Swiss voters accepted the ‘Energy Strategy 2050’ developed by the government. As a result thereof, it is forbidden to build new nuclear plants in Switzerland. This change of law aims at increasing energy efficiency and further promoting renewable sources of energy. Consequently, wind, sunlight and geothermic energies are set to become increasingly popular. This trend is reflected in many areas of the legal system, such as tax law (ie, tax incentives for energy improvements), public procurement (ie, promotional subsidies generally attributed to energy efficient projects) and the progressive renewal and upgrading of the electricity distribution network. Switzerland has been a party to the Energy Charter Treaty since 1998. Switzerland has negotiated since 2007 with the EU regarding a bilateral treaty regarding participation in the development of the electricity single market but so far no agreement has been reached. Apart from bilateral investment treaties or free trade agreements, which may have energy implications, but are not proper treaties per se, there are no further treaties to be mentioned. Domestic and foreign investors are first and foremost protected by the fundamental right to own property anchored in article 26 of the Swiss constitution and according to which any direct or indirect expropriation shall in principle be compensated in full. Additionally, all investors enjoy the right to have access to courts and be heard by them. Furthermore, Switzerland is party to over 120 bilateral investment treaties, which aim at guaranteeing inter alia equal treatment between domestic and foreign investors. In particular in the energy sector, foreign investors may rely on the provisions contained in the Energy Charter Treaty. In 2012, the Swiss government unveiled its plan to improve cybersecurity with regard to both the country’s institutions as well as its entire economy. To this end, the Federal Council conducted a trans-sectoral risk assessment study to find out which areas were subjected to which levels of cybersecurity risks. Within the energy sector, the oil and electricity supply were listed as highly critical, whereas the natural gas supply was listed as very critical. As a result, the entire energy sector is benefitting from the same kind of security measures as the banking sector, telecommunications or water supplies. There is no specific statutory obligation to comply with international cybersecurity standards such as the ISO/IEC 27000-series or the ISF Standard of Good Practice for Information Security. However, Switzerland takes an active part in the development of international standards in cybersecurity and the ISO/IEC 27000-series is at the core of the guidelines issued by the Federal Data Protection and Information Commissioner, which is the authority responsible for data surveillance in Switzerland. The Data Protection Act is set to soon undergo complete revision and during the consultancy process leading up to the draft of the revision proposal, a discussion regarding an explicit duty to comply with international data protection standards took place. However, such duty was not included in the final draft, which has yet to be debated in parliament. First, the new Energy Act entered into force on 1 January 2018. It is a broad piece of legislation aiming at diminishing the country’s energy consumption and increasing energy efficiency. Key new regulations include stricter CO2 emission standards for vehicles, increased subsidies for energetic restoration and lighter authorisation procedures for renewable energy facilities. Second, the requirements in terms of electricity labelling and certificates of origin for electricity were further strengthened at the beginning of 2018, with certain local industry leaders calling for similar requirements pertaining to foreign gas. Third, a legislative effort aiming at the liberalisation of the electricity market in Switzerland is currently pursued by the Swiss government. If enacted, this change could free the electricity retail market from important constraints, thereby offering a greater choice to consumers with regard to the choice of the electricity provider and the means of production of electricity. Finally, as part of the country’s energy strategy the smart-meter rollout started in 2018, thereby further digitalising the electricity market.